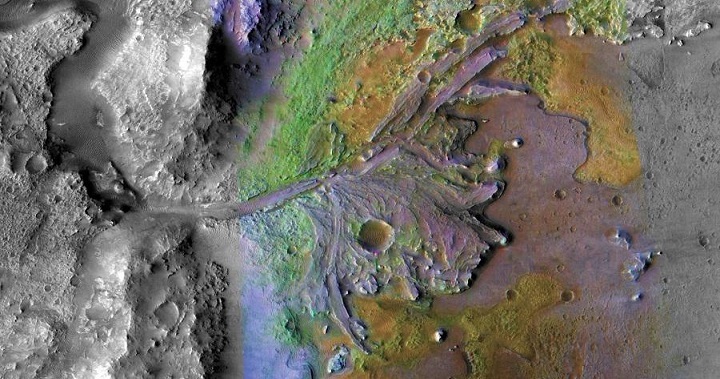 Iron-rich rocks near ancient lake sites on Mars could hold vital clues that show life once existed there, research suggests. These rocks – which formed in lake beds – are the best place to seek fossil evidence of life from billions of years ago, researchers say. "There are many interesting rock and mineral outcrops on Mars where we would like to search for fossils, but since we can’t send rovers to all of them we have tried to prioritize the most promising deposits based on the best available information," said Dr Sean McMahon, Marie Skłodowska-Curie Fellow, School of Physics and Astronomy.